I was just thinking that with the new Twin Peaks being filmed, it's weird how Mr. Scratch, Alan's doppleganger, ends up in the desert with Alan hunting him. 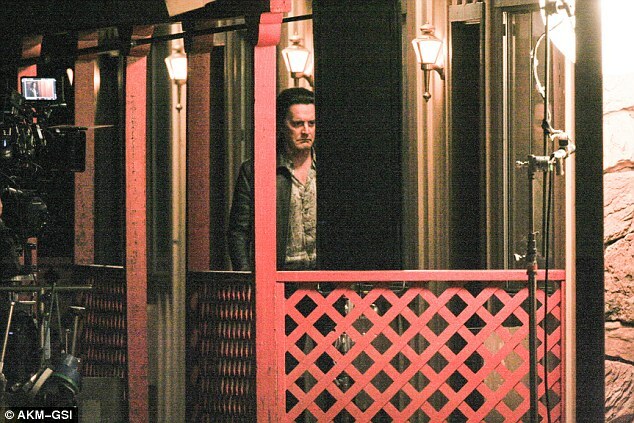 Now photos from the set of Twin Peaks reveals a darkly dressed Agent Cooper walking around a motel at night in the Mojave desert? What is happens!?! Where's Annie? What a weird coincidence. Last edited by jriley0035; 10-26-2015, 02:41 PM. Reason: Added photo.